Increasingly, when CEOs find themselves in a tough spot, they have come to rely on members of their board to roll up their sleeves and pitch in. Your Company Has Changed,Why Hasn’t Your Board? The very public, and unpleasant, battle between Disney’s former CEO Michael Eisner and the company’s shareholders before his departure in 2005 could have led to an equally dramatic, high-profile turnover on the board, given that several of Disney’s directors were longtime Eisner supporters. But while the board’s complexion has changed fairly dramatically since Robert Iger took over as CEO, the shift has been more of a quiet evolution than a radical reconstruction. Over a period of four years, Iger and the board have replaced Eisner friends like Leo O’Donovan, Gary Wilson and George Mitchell with new blood, such as Apple icon Steve Jobs, retired Starbucks CEO Orin Smith and Susan Arnold, president of global business units at Procter & Gamble. Each new director recruitment took place over a period of six months or more, giving both parties ample time for due diligence and to assure themselves that the new recruit would fit in well with Disney’s evolving board culture. Similarly, UnitedHealth Group’s board, rather than risk more headlines by asking directors to step down, shortened terms to one year and then let those tenures expire quietly, filling the seats as vacancies arose. That is typically the way it ought to be done, experts agree. Even in cases where change is clearly warranted, there are a host of reasons not to rush the process. For one thing, it’s harder than ever to find great directors, given the time commitment required for board service, and sitting CEOs have tighter restrictions on the number of boards on which they can serve. For another, you don’t really want to hire any directors who don’t take adequate time to do their due diligence. “A good board member is going to want to talk to other board members, the CEO, general counsel, the CFO, the outside counsel, the audit firm,” notes John Gardner, vice chairman with executive search firm Heidrick & Struggles. Public company directors know that our most important responsibility to the shareholders is succession planning and continuity of leadership to build and lead the enterprise. We are in a time of great market upheaval and pressure. This will require many corporations to adjust and change their business model. They will need to cut costs and think more broadly about how to compete to build and preserve shareholder value. All directors clearly understand the importance of having a robust pool of general managers to develop and cultivate for leadership succession. When the CEO hires a senior executive to build the leadership team we are actively involved. We understand that corporations outgrow the capabilities of their executives. Hiring and promoting talent to adjust to a new business model enables the company to grow and adapt to changing business environments. Although a board faces the same outside pressures, board succession is almost never discussed. It is one of the taboos in the boardroom, yet the perspective around the boardroom table must change with time. Just as a company may outgrow its CEO, the company also may outgrow the capabilities of its board members. Companies that engage in board renewal find that it brings a set of experiences, perspectives and an important network of introductions and contacts. A positive example can be seen at SunPower Corp. The board was small when SunPower, a solar panel systems company, went public in 2005 with three outside board members. SunPower’s business evolved; we acquired and integrated companies and began the process of expanding our thinking on offshoring our manufacturing, tightening our supply chain, and globalizing our go-to-market. We recruited Dr. Uwe-Ernst Bufe, former CEO of Degussa, a global chemical company, to help mentor our CEO and bring contacts and expertise in the polysilicon supply chain, as well as deep operational knowledge. SunPower then adapted its business model, expanding to sell its solar panels from residential,to business rooftops and to joint venturing with utilities. We needed depth, experience and knowledge in the utilities sector, and added Tom McDaniel, former EVP and CFO of Edison International. This is an example of building a board and forward investing in it to bring knowledge, direct experience, contacts, and what I characterize as “scar tissue,” to the boardroom. The board is truly in a partnership, to mentor and contribute actively with our CEO and his leadership team. A contrary example can be seen at Lucent, where I was a board member in 2000. Lucent went through an enormous market challenge when the telecom industry imploded and revenues went from $33 billion to $8 billion in one year. 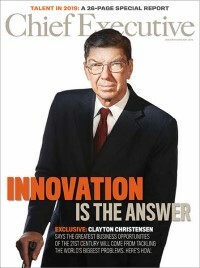 Clearly, bringing in a board member who had gone through market dislocations and financial restructuring would have enhanced the company’s ability to remain viable, strengthened the CEO’s knowledge, and allowed the company to make the necessary aggressive decisions in order to endure and evolve. Rather than do that, the company brought on a NASA scientist who had never been in the for-profit product world, which was clearly not the perspective needed. I believe companies and shareholders are well served when boards actively engage in board renewal. Just as CEOs look at the management team and see who would scale and who would not, and what is needed to maximize the enterprise performance in a marketplace, the same analysis should be applied to board members. Annual board assessments usually focus on the information that management supplies the board and whether it is received in a timely manner. What boards may better ask themselves is whether the board can be strengthened—what new perspectives and experience would help our enterprise going forward? If this question is asked, we may see more board renewal in the future. -Betsy S. Atkins is CEO of Clear Standards and serves on the boards of Polycom, Chico’s FAS, Reynolds American, NASDAQ LLC and SunPower. When Abhi Talwalkar agreed to take the top post at LSI Logic in May 2005, he knew he was in for a wild ride. Once a Silicon Valley darling, LSI had risen from no-name startup in 1981 to $2 billion global company under founder Wilfred Corrigan, who established it as a leading manufacturer of customized microelectronic chips for the semiconductor industry. But the chip-maker had fallen far and fast from its perch, discovering that in the rapidly changing and consolidating chip industry, a company’s future was only as sure as its ability to adapt nimbly to change. As early as the late ’90s, LSI began losing its way, failing to reinvent itself in response to industry changes while placing too many bets on disparate businesses. Following the dot-com collapse, spending on telecom equipment that contained LSI chips dried up, delivering additional blows to the company’s bottom line. Investors lost confidence as the stock crab-crawled in the single digits, offering little hope of a return. Corrigan and the LSI board realized it was time for a change. But rather than seeking out a seasoned turnaround artist, the board tapped Talwalkar, a 20-year Intel veteran. The 41-year-old’s mission: to completely transform and recast the flailing company and position it strategically for the future. A tall order for a first-time CEO, to be sure, but Wall Street approved of Talwalkar’s Intel pedigree and investors grew bullish when they saw he intended to make the tough calls necessary to get LSI back on track. In less than two years, Talwalkar has guided the company through four acquisitions, including a $4 billion dollar merger with Agere in 2007, two divestitures and has replaced all but two executives in the senior ranks. “We’ve changed the company, I would say, in every single dimension,” Talwalkar says. LSI still invests 20–25 percent of revenues in R&D, but without having to manufacture wafers from scratch, it can spend on areas in which it can successfully differentiate. “We are very deliberate now about the markets we focus in,” Talwalkar says, noting that storage and networking products are LSI’s top priorities. “We actually had a great position in the storage area but we were squandering it because we lacked a cohesive strategy.” Today storage accounts for roughly $2 billion of LSI’s revenue and the company boasts an impressive roster of OEM customers including IBM, HP, Dell, Seagate, Western Digital, Cisco, Ericsson and Nokia Siemens Networks. Ameritrade CEO Joe Moglia thinks the recovery is for real. And after three strong quarters, he says his firm is poised to reap the gains of a resurgent market. Hardly acknowledged, rarely confronted, alcoholism is a stealthy liability that pervades corporate America and puts some of its brightest leaders at risk. Every year, several of industry's top executives die unexpectedly. Here's how their companies cope. Twenty years ago, if you'd have told a group of CEOs they might one clay be succeeded by a bunch of techies, the news likely would have been greeted with gales of laughter-or, at the very least, heavy skepticism. What does a technology manager know about running a business, after all? But these clays, we know better. In the past five years, the role of the CIO has been steadily and rapidly shifting to one that involves as much strategic planning as it does networks and cables. And, as technology continues to play an ever greater intrinsic role in the success of any organization, IT managers are finding themselves more and more on the level of "partner" with their CEO leaders. But if it's true, as many say today, that CEOs will need to have a much deeper understanding of technology in order to sustain competitive edge in the future, where will that leave the CIO as the keeper of techno-knowledge? Looking further out, what happens when the children born today and in the new millennium-those kids whose first toys are likely to be neon-colored, Pentium-chipped, GUI-enabled handheld PCs-reach the corner office? Will they really need somebody to head up technology? We asked the CEOs of a diverse group of companies to look into their own crystal balls and tell us: a) how they see the CIO's role changing; b) whether the inevitable increase in technology acumen among CEOs would eventually render the role of the CIO obsolete; and c) whether they thought it possible that the CIO of today would one clay rise to become CEO. Here's what they had to say. I'm sure there are those ClOs who are insightful and have many of the skills I commonly see in chief strategy officers or chief knowledge officers, but for the most part, the ClOs I deal with, while very smart and very technically savvy, are caught up in the technology and how to execute and implement against a strategy that they might have had a part in devising but has been basically driven by others. It's also getting more and more difficult to expect the operating guys who are busting their chops every day to execute against the existing plan in a hypercompetitive environment to also be the guys who are looking out toward the future, keeping up with technology, with the changing geopolitical environment, here and across the globe-you can't expect the operating guys to also understand how these things are going to impact the business in the future. You give somebody too many balls, they're going to drop one of them. Many of us in the corporate world have the bad habit of just continuing to add balls until some of them start falling to earth-and dropping the ball is the wrong way to figure it out. I see the chief strategy officer or the chief knowledge officer-very savvy, well-schooled, very comfortable in the world of technology with a lot of the CIO's technical capabilities, but a broader vision-I see that person as very much with future CEO potential. The really hot (10 who is able to sort of rise above the technology trap is going to become the chief knowledge officer or the chief strategy officer of the future and then he'll have a CIO working for him. Here at Young & Rubicam, we have a guy named Bruce Benson, whom we hired from Sony; he has an IT background, but he's morphed himself into a strategy person, and he then hired a CIO who is a direct report to him, who worries about technology and how to make it a differentiator for us. The CIO will become an increasingly important player not only because of automation's role in improving efficiency, but also because of the growing use of technology for developing sophisticated products and enhancing our ability to quickly meet the changing needs of our customers. Here's an example: automated metering. Ameren now has the world's largest automated meter network-one million automated meters. What's our midwestern utility doing with that? Well, we're improving customer service, but we're also developing innovative products that allow customers to track energy use by process and facility-all on the Internet. So someone in Detroit can track energy use for a facility in St. Louis. That's just the sort of product that can't be offered without strong technical expertise. I do not subscribe to the view that the CEO needs to be the leading strategist on the use of technology. This approach may limit the opportunities of an organization. Certainly the CEO has many things to focus on in addition to the tools used in the e-commerce or information-based business applications. I see the transitiont to greater use of technology as a relatively permanent type of movement. You're really asking, when will this mature? I see the impacts of information on our business and how it's turning things into an e-commerce society as being very profound. I think this movement will extend well beyond our lifetimes. The ClOs today need to develop a greater understanding of all aspects of the business and gain a better perspective of many other areas of discipline within a company. That depth will enhance their stature significantly as we look to succession planning. I think the phenomenon is new enough that it will still be some five or 10 years before you'll see widespread impacts of that, but I think it will happen. The most valuable CIO is going to be the type of individual who can step up and be a very significant contributor to the development of strategy. You'll see in many instances what may have been a previous form of operations innovated with the creation, distribution, and manipulation of information. We're going to need to find better ways of attracting customers, learning who they are, what they want, and how to satisfy them, all without meeting or talking to them. That's going to be a unique skill. How we take these new tools and create the intimacy of a one-to-one relationship has the potential to be absolute dynamite. The most successful ClOs will be the ones who can take that proposition and make it real for a company. I think it is pretty clear that the role of the CIO-or other technology chief-is becoming much more critical to the overall strategic planning for a company, and that will continue. Ten years ago, our company spent very little money on management of technology and today, close to 20 percent of our corporate overhead is technology-related. So I think, if there were three corners to the stool in the past-with the CEO, COO, and CFO as legs-today it's a four-legged stool. As far as succession is concerned, if someone is a manager of technology and an effective one, they're more likely to become a CEO. If they're a technology wizard but they can't deal with people, they're not any more likely. It's becoming progressively more difficult for a techie who doesn't have the basic managerial skills to rise to the ranks of even being CIO. When you manage the technology department, it's a lot like managing artists. There are all kinds of dynamics that require a lot of management skills to do a good job of running them. And you need to have somebody making decisions about the direction of a lot of those investments so that you have a reasonable expectation that it's going to have a payback as opposed to just being the most current technologically. job is that unless you're in the technology business itself, technology is just part of a business, and you have to have somebody to manage how that technology gets integrated into your business. That's changing so fast that the CIO is absolutely a key job in most companies now. I tend to agree that information access and flow is absolutely critical to today's businesses. I think as businesses move more towards teams, the need for communication and information becomes increasingly critical. I think also as business moves more toward e-commerce, the competitive landscape will be changing dramatically. The CIO, in my mind, should be the catalyst for identifying the information needs of the business as well as providing the access and distribution of that information. This is a significant change from the role of the CIO of the past. The challenge will be establishing an information infrastructure that's flexible enough to evolve ahead of the business needs, and the CIO will need to anticipate those changes and the future information needs of the business. I think in order to do that, he or she has to be an integral part of the senior management team. And I think the CFO and CIO roles, as tracks to the CEO-ship, are probably comparable. The role of the CFO has changed and will continue to change dramatically. It's becoming much more strategic, much less of an accounting focus. So I see that race as neck and neck. I can't see the role of the CIO becoming obsolete in the foreseeable future. There are just too many things changing and too many aspects of the issue emerging at any point in time. But I guess, if I put on my imaging hat, and looked way out to the future, I could see where everybody was so knowledgeable about it and so comfortable with it, that it could be part of the way a business is run-but I'd have to stretch my imagination to see that happening right now. The CIO is extremely important to our company, and I would assume now to most companies. In our case, the CIO works directly for me, and I wouldn't have it any other way, given his emerging role in the company. It's a critical aspect in the business for two reasons: 1) he's literally engaged in and in charge of a large and growing part of the budget of our company, both in the sense of variable costs and in terms of capital costs; and 2) besides having this responsibility for big dollars and important hardware and software initiatives, we're trying to use all these vehicles to redesign our business processes to make them more effective and more efficient, and our CIO's influence on all that is very significant. Five, 10, or 15 years ago the CIO role was viewed as a very esoteric speciality area. In many respects, the inner meshing of their job with the basic business was somewhat tangential, but that's not true at all anymore. The things we're doing with technology-ERP systems, e-commerce, and the business process redesign that accompanies all this-are right at the heart of managing and running a business. So I think the probability of ClOs gravitating toward division presidencies, presidencies of companies, and CEOs has got to be going up. The CEO has to be almost every element of a company. I think the difference between now and years ago is that a lot of those other functions I just mentioned were always considered issues that got most of the CEO's time, so the CIO issues were often things that were off in a cubbyhole someplace and maybe once in a while they got talked about or dealt with on the CEO level. Now I think they get dealt with at the CEO level as an equal of every other function and in some ways, it's emerging as even greater than any other function because of the importance of e-commerce, the Internet, interactivity, and the role of information technology in all of that. The CIO's role is not eclipsed by the CEO but becomes more integral and more important and probably takes up much more of the CEO's time. Ten years from now you'll probably find that the CIO has been a more typical path to being a CEO. You've had the path of CFOs, the COOS, the heads of sales staff, but, because e-commerce and interactivity are that much more important in the conduct of day-to-day business, 10 years from now you'll probably increasingly see the CIO role as a stepping stone to the CEO office. For much of the past 20 years, the CEO really dealt at arm's length with the CIO, and it's only been the more enlightened of the CEOs that have really appreciated and valued the role that technology can play in their organizations. Today I couldn't imagine a CEO in America who is not challenged to be technology aware in just about everything they do. You look at the P&L and find you're spending some 5 percent of your revenues on IT. So you've got one of your major cost elements of the enterprise right there on the technology line. From the CEO's point of view, if you're not technology astute, you and your enterprise are at a very significant disadvantage. And then I'll say these two words: Y2K and e-commerce. If a relationship didn't exist between the CIO and CEO before, then the Y2K issue was an excellent opportunity for them to get to know each other on a very intimate basis. What we've generally found is that organizations have adopted two kinds of roles: the role of the CIO, which typically refers to a business strategist responsible for translating the corporation business strategy into a set of technical initiatives, and the CTO, who is the infrastructure owner. So there's really a combination of roles there. The more important one in terms of the CEO's relationship to technology is the classic role of the CIO -that is, the person who is responsible for sitting at the strategic planning table of the corporation, for understanding technology but also for being a business partner with the CEO, translating business needs and strategy into technology initiatives; it's an invaluable role and one that is going to challenge many of today's ClOs in terms of their prior skill sets. Not all are equally qualified to do those kinds of things. We've seen many corporations use the CIO role as a developmental role for upcoming and emerging future business leaders where an individual might be doing very well in an operational, finance, or planning role and they'll move for a two-year tour of duty into the CIO-ship to ensure they have the strong technical awareness, so they become the well-rounded business executive we'll all need in the future. But there will definitely be a place for the CIO/CTO in the future. The CIO who aspires to be the CEO is going to have to demonstrate strong fundamental business skills, operational success, broad operations skills, good interpersonal skills. You're going to need to be broad-based no matter how you attempt to get to the corner office. But one of the things on your curriculum vitae will be a demonstrated awareness, knowledge, and practical application of technology because tomorrow's businesses are now and will be emerging to be technology enabled and technology driven. The CEO is going to be heavily engaged in the technology discussion because this is either going to be the channel or one of the channels. It is going to be a major focus for companies or they're going to get left in the dust. And the CEO is going to need a partner to help him or her make these technology and application bets. The CIO can be an active part of this and enhance his or her own standing in the company as well as engage in something that in my view is fascinating-to transform their whole business and be right there on the leading edge of it. Or they can take the position that this is loosy goosy, it's not fully cooked, it's too racy, and we want to think about it longer. But if you try to take an Internet application, think about it, perfect it, build the whole thing behind the firewall, and get it all 100 percent right before you do anything with it, you're going to be 12 or 24 months behind somebody else, and the game's over. In our company, when we approach the CIO, it's no longer ready, aim, fire-or even ready, fire, aim. We just take the "ready" out. And now it's just fire, aim. It's a different mindset that says, "I'm not just here to protect that big box over there that we bought three years ago and amortize every nickel out of it, and get as much use out of it as long as I can until it just quits." This is a real-time evolving process that's changing every single day, and it's never gong to be perfect, because by the time you get there, somebody else has gone further. CEOs are looking for people to help them with that decision. They're not looking for an anchor that they have to try to drag along. If that's what it is, they're going to say don't come near me. But it's a much more proactive position. It's not somebody you stick down in the basement growing mushrooms and watching a computer. Ready To Go Global? by Rory J, Cowan, president Lionbridge Technologies, a Waltham, MA-based product globalization services company With more start-ups "going global" earlier than ever before, all companies are rethinking management of their international operations. Specifically, they are giving special consideration to localization-the process of translating text and re-engineering software components of a product to operate in other languages. This is what essentially keeps a product sold in one country looking and behaving the same as the same product sold on another shore. Put simply, the days are gone when heavy manufactured exports needed only their "on-off" switches translated into different languages. With software and semiconductors permeating everything from PCs to refrigerators to cars, pervasive localization programs are more important than ever. A 1998 sports utility vehicle, for example, has more computing power than the original PC. As a result, dashboard displays, controls, brochures, and the traditional glovebox material all constitute part of the "user interface." The challenge for automotive manufacturers is to break the localization activities for each of these parts away from their production or functional operating groups, and centralize localization in order to achieve consistent terminology and an even "look and feel" for the product. By "internationalizing" products at the design phase, companies can communicate the need for consistent standardization to their R&D organization, development partners, and subcontractors. Engineers can design product screens, help files, and systems diagnostics to be "double byte enabled" in order to accommodate the extra space needs of Asian characters, for example. This will ensure speedy product deployment for that big Asian order without expensive and episodic internationalization campaigns. When you have to go back and re-engineer to bring your product into other markets, its time to re-examine your design process. A repeatable localization methodology is a detailed, documented process that global sites adhere to strictly; each site needs to follow the same procedures and processes. The product globalization process includes every step in the sales channel. This means that both hard copy and on-line versions of sales, dealer, and service/support materials will contribute to the "feel" of your corporation and reinforce the "ethic" of your product. This attention also ensures consistent terminology, which reinforces the verbal "identity" of the company, throughout the book-to-deliver process. Since the purchase and delivery process constitutes an increasingly large percentage of a product's perceived value, a consistent channel experience will directly affect product pricing leverage and after-sale customer satisfaction. If Ford were to take its Taurus into both France and Germany without a repeatable localization methodology, the result would be cars, supposedly the same, but with two completely different user interfaces. This disparity would damage corporate image and give a sloppy reputation to a car that has a solid recipe for success in the U.S. Worse still, without a repeatable methodology, the release date for the cars in the two countries might not coincide, hampering advertising and marketing efforts. For an auto manufacturer, identity is paramount with the consumer. A successful globalization strategy should include a repeatable globalization methodology, independent of target language, that becomes part-and-parcel of the product release cycle. The main benefit to this approach is cost control. Since globalization "overhead functions," such as process and revision control, cost far more than the language component, repeatable processes leverage project management over multiple languages, without creating duplicative overheads in each country. The Internet has further transformed the outsourcing process by enabling access to the highest quality translators and engineers at the most competitive price anywhere in the world. When Sun's JavaSoft division was planning the European release of its Java Developer's Kit in five languages, the company used a rapid globalization methodology. As a result, the job was finished in six weeks, test and rollout costs were reduced, and Sun maintained a polished image overseas. With all the advantages of global communications, lower taxes are no longer a great enough incentive to move staff and production facilities overseas. The optimal globalization model is to sit tight, keep fixed expenses to a minimum, and work with an outsourcing partner to keep as much expense as variable as possible for as long as possible. This flexible overhead model guards against increasingly volatile demand curves, and the subsequent facility closure costs which almost always occur. Going global is complex and costly enough-with individual cultures, customs, and regulations. Standardizing product development across continents is a good way to make the job easier. FRONT LINESTake care not to be so focused on the Year 2000 problem that you miss the significance of 1999. While up to now, the personal computer industry has largely thrown its effort toward-in the words of a familiar mantra-putting a PC on every desktop and in every home, 1999 seems poised to be the year in which that starts to change. From now on, expect to hear more and more about "information appliances." In fact, expect to hear that term so much, you'll be as sick of it as you were of the "information superhighway." Photo Appliance. Small and inexpensive, so carry it anywhere. Print photos instantly; transmit them to a storage device; send to a television set; fax directly to a friend; send to a colleague's camera. Home Medical Advisor, Diagnose yourself with devices that have sensors that are inexpensive, rugged, and reliable enough for home use. Address Book and Pocket Calendar. Aim the book at the phone and hit "send" to call someone; automatically contacts home or office address book to update new information.